Fredric William Henry Myers was born in 1843 in Keswick, Cumberland, England, into the family of a clergyman. He was educated at Cheltenham and Trinity College, Cambridge. In 1865, he became a lecturer in the classics at Cambridge, but in 1872, he resigned that position to become a school inspector. Myers published several volumes of poetry, though it was as an essayist that he became known (Essays, Classical and Modern ). 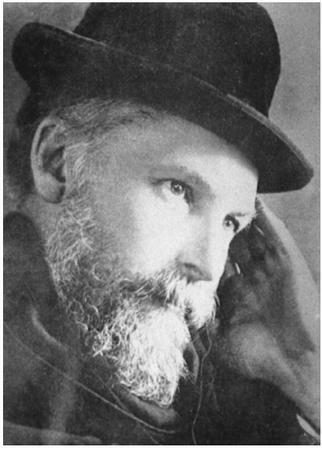 Intrigued by the possibility of ghosts, spirits, and the survival of the soul since he was very young, Myers began sitting with mediums in 1872, often in the company of his friends, Henry Sidgwick (1838–1900) and Edmund Gurney (1847–1888). In 1882, he was one of the original group, together with Sidgwick and Gurney, who founded the British Society for Psychical Research (BSPR) and remained until the end of his life one of its most active and productive members, serving as the society's secretary from 1888 to 1899 and its president in 1900. Although he was never a skeptic toward the paranormal, Myers deemed many of the manifestations of spirit mediums to be simplistic and puerile. In his opinion, the greatest evidence for survival of the human personality after death was to be found in what he called the "subliminal consciousness," that mysterious realm that lies beneath the threshold of ordinary consciousness wherein exist the faculties of telepathy, clairvoyance, psychokinesis, and precognition. All the phenomena of mediumism and the seance room Myers attributed to the manifestations of the subliminal consciousness. Myers investigated one of the most evidential cases suggestive of the survival of human personality beyond the death experience recorded in the early annals of psychical research. The report, which has come to be known as "The Case of the Scratch on the Cheek." In 1876 Mr. F. G., a traveling salesman, was sitting in a hotel room in St. Joseph, Missouri. It was high noon and he was smoking a cigar and writing out sales orders. Suddenly conscious of someone sitting on his left with one arm resting on the table, the salesman was startled to look up into the face of his dead sister, a young lady of 18 who had died of cholera in 1867. "So sure was I that it was she," he wrote in an account to the American Society for Psychical Research (ASPR) (Proceedings, S.P.R., VI, 17), "that I sprang forward in delight, calling her by name." As he did so, the image of his sister vanished, and Mr. F. G. resumed his seat, stunned by the experience. The cigar was still in his mouth, the pen was still in his hand, and the ink was still moist on his order blank. He was satisfied that he had not been dreaming, but was wide awake. He had been near enough to touch her, "had it been a physical possibility." He had noted her features, expression, and details of dress. "She appeared as if alive," he stated. "Her eyes looked kindly and perfectly naturally into mine. Her skin was so lifelike that I could see the glow of moisture on its surface, and, on the whole, there was no change in her appearance." Mr. F. G. was so impressed by the experience that he took the next train home to tell his parents about the remarkable visitation. But his mother nearly fainted when he told them of "a bright red line or scratch on the right-hand side" of his sister's face. With tears streaming down her face, his mother told him that he had most certainly seen his sister's spirit since only she was aware of a scratch that she had accidentally made while doing some little act of kindness after the girl's death. Feeling terrible over what had occurred, his mother had carefully "obliterated all traces of the slight scratch with the aid of powder" and had never mentioned the unfortunate occurrence to a single person from that day onward until F. G. had mentioned seeing it on the spirit form of his sister. It seems a bit more than coincidence when the anonymous narrator, F. G., adds: "A few weeks later my mother died, happy in her belief that she would rejoin her favorite daughter in a better world." after death, other reported cases show that this specific form of post-mortem perception is not unusual," he concluded. "This case is one of the best attested, and in itself one of the most remarkable that we possess…It certainly seems probable that recognition was intelligently aimed at." The Reverend Arthur Bellamy told Myers about the "lady" he saw one night sitting by the side of the bed where his wife lay sound asleep. Bellamy stared at the strange woman for several minutes, noting especially the elegant styling of her hair, before the lady vanished. When Mrs. Bellamy awakened, the reverend described her mysterious caller. He was startled to learn that the description fit that of a schoolgirl friend of his wife's with whom she had once made a pact that the first one to die should appear after her death to the survivor. The astonished clergyman then asked his wife if there was anything outstanding about her friend, so they might be certain it had been she. "Her hair," she answered without hesitation. "We girls used to tease her at school for devoting so much time to the arrangement of her hair." Later, Bellamy identified a photograph of his wife's friend as being the likeness of the specter that had appeared at her bedside. The results, speculations, and conclusions of Frederic W. H. Myers's many years of research were published posthumously in Human Personality and Its Survival of Bodily Death (coauthored with Edmund Gurney and Frank Podmore, 1903). Myers died in Rome in 1901 and was buried in Keswick.